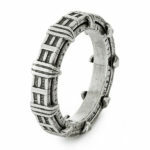 Stargate fans now have another reason to find somebody to marry (if they aren’t married already) thanks to this beautiful Stargate wedding ring! 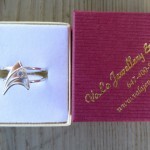 The folks over at Wedding Bands Designs are the ones who designed this amazing Chapa’ai or Stargate wedding ring. 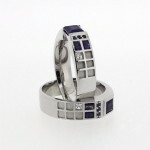 Not only does this Stargate wedding ring look amazing, the chevrons even spin! If you want an awesome Stargate ring, you can contact them about getting a price quote as it is not listed on their site (which makes me suspect it is going to cost you about as much as the wedding). 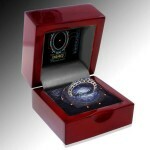 If you do get this and need a place to store it, you might consider something like the Stargate engagement ring box I posted a few months ago.